GIVE YOUR GUESTS THE GIFT OF PICTURES! You are in control of your own Photo Booth. Only need the Booth for a couple hours, choose the pay by the hour option. 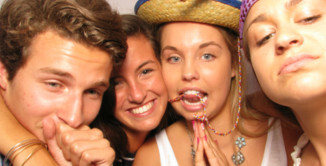 Affordable rates to add the photo booth to your event call (954) DRAPER1 to book your per hour event. Add a memory scrapbook and supplies so your guests can write personal messages. This includes a high quality memory book with color and style options and a choice of writing tools. The memory book is available right after the event for your enjoyment. With this portable separate kiosk, guests can share photo's to social media so others can view and comment. This is perfect for fund raisers, corporate events, and parties where you want to share the photo strips to social media sites like Facebook™ or Twitter™. Photo strips can also be emailed to clients or guests personal email account to view and print later. Personalize you photo strips with a custom message or logo. You can submit a company, sponsor, or personal logo to be placed on each photo strip for advertising or memory purposes. A design can be created by emailing us, using templates, or by calling (954) DRAPER1. 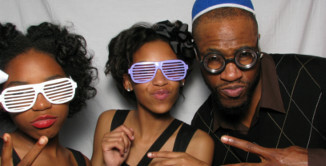 All Photo Booth packages come with a white or blue backdrop which is placed behind the guests in each photo. You can choose from our vast selection of backdrops to match your event colors. Call (954) DRAPER1 today to discuss backdrop options for your event. With the Customized Web Page options you and your guests can view the photos after the event to be reprinted or shared at a later date. The web page can be accessed by typing in a direct link given to all guests at event. This web page is active 24 hours after your event so all pictures are reviewed for safe and secure browsing. Green Screen allows your guests to use any image as the background for their photos. The process is completely automated using our state of the art green screen technology. Call (954) DRAPER1 today to discuss backdrop options for your event. Wouldn't it be cool if you could just peel the back off your photo booth picture and just stick it where you want? Well I'm glad to introduce sticker photo strips to the DraperBooth! 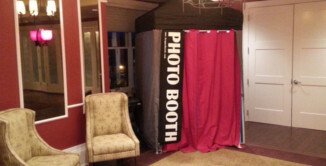 This is just another way DraperBooth photo booth rental service is the most feature rich service in Northwest Ohio. 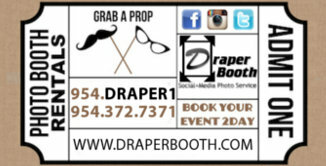 Ask how you can add this awesome feature to your photo booth when you book with DraperBooth today! The Social Photo Booth is perfect for fund raisers, corporate events, and parties where you want to share the photo strips to social media sites like Facebook™ or Twitter™. Photo strips can also be emailed to clients or guests personal email account to view and print later. DraperBooth covers most of North West Ohio and the main service area is typically 60 miles with the extended service area being 100 miles. Some traveling fees may apply if outside of the main service area. Did you know that your photo strips will be printed and ready to smile at in under 15 seconds? 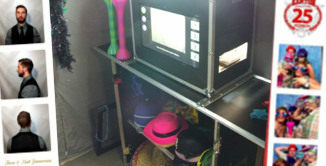 Draper Booth employs the highest quality equipment that allows your event to run smoothly and with out the wait. This is why Draper Booth is perfect for festivals, weddings, conventions, and various other parties. The Standard Booth package includes our photo booth with over 25 props, unlimited instant photos throughout your event, text on photo strip, DVD of images, and a booth attendant to keep everything running smoothly. The Wedding Photo Booth package includes 25 quaility props, unlimited instant photos, custom strip text/logo, memory scrapbook station, social media integration, and website photo gallery. The Ultimate Photo Booth package includes 25+ props, unlimited instant photos, custom strip text/logo, social media integration through separate kiosk, memory scrapbook station, and website/mobile device app photo gallery. The Social Media Sharing package allows guest to take pictures and share to Facebook, Twitter, or Email (no printed photos on event date) for them to be printed or saved at a later date. 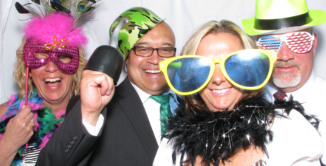 The Fundraiser Photo Booth package includes the Standard Photo Booth and allows for organizations to raise money. Reduced pricing and tips on raising money with sponsors. 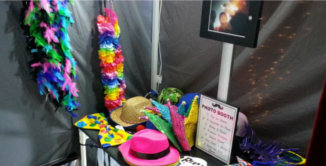 Pick your own Photo Booth options to customize your event Photo Booth the way you want. Pick how long you want the booth, options you want to add, and get only the features you need. Would you like more info about Draper Booth? 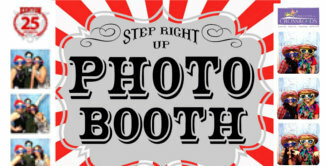 Photo Booth for your Wedding, Fund raiser, Birthday Party, Class Reunion, Prom, Homecoming, or other event. © DraperBooth. Design by Justin Draper.